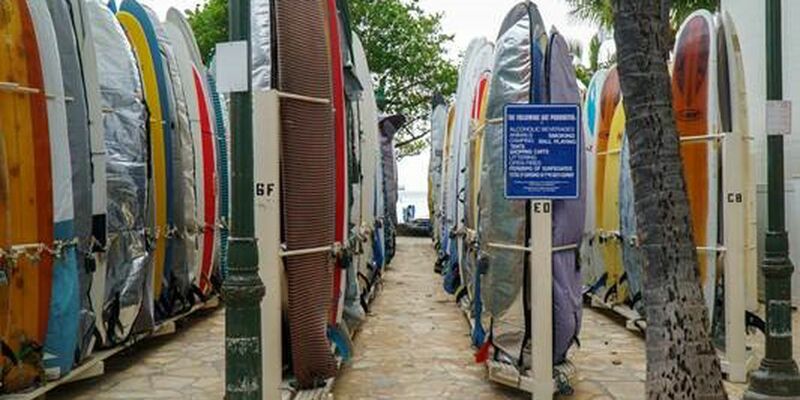 HONOLULU (HawaiiNewsNow) - Good news, surfers: Surfboard lockers are now available to rent in Waikiki. The lockers are situated next to the Waikiki Beach Center ― behind the Waikiki police substation. To apply for a locker, click here for an application form. Renters must be at least 18 years old, and the lockers are only for personal use. Rental fees run from $15 a month to $40. Applicants must provide a current government-issued photo identification or driver’s license and schedule an appointment to complete the rental by contacting the city Department of Enterprise Services at 768-5400 or by email at DESConcession@Honolulu.gov.